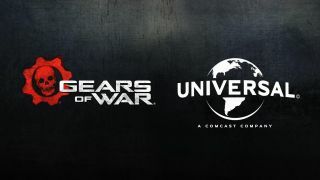 Universal Studios have "optioned motion picture rights to Microsoft Studios’ iconic 'Gears of War'”. It's up to you whether you approach this with cautious optimism, or file it on the same shelf as the Metal Gear movie that's never going to happen. Coalition Studio head Rod Fergusson made the announcement during a recent Gears or War 4 Live broadcast. Scott Stuber, who was behind both Ted movies and the Dwayne Johnson/Kevin Hart comedy vehicle Central Intelligence, and Dylan Clark who worked on the Planet of the Apes films and Oblivion are set to produce for Bluegrass Films at Universal. So far we've already got someone in the office shouting 'Batista!' when it comes to casting. If you've got any good suggestions then let me know in the comments below.